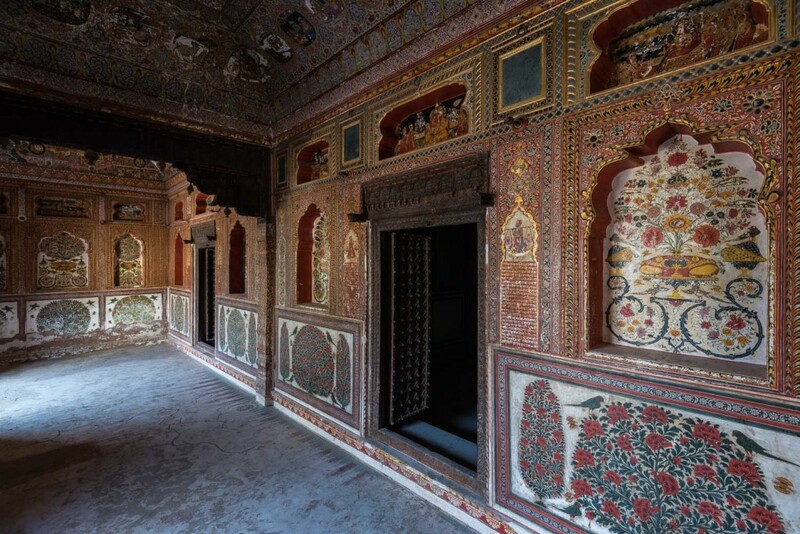 The lofty Narain Niwas Castle in Mahansar, in the Indian state of Rajasthan, was built in 1768 by Nawalgarh’s founder Thakur Nawal Singh for his second son. 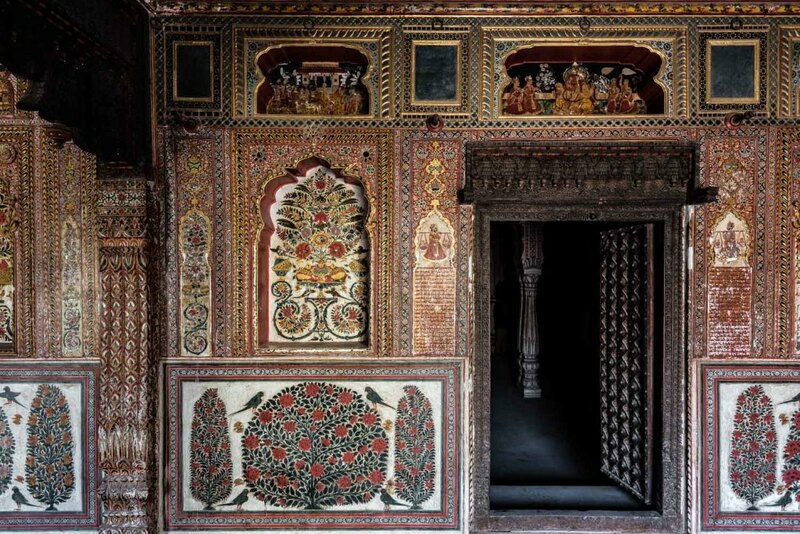 Thakur Kunwar Bhagwati Singh, the ninth generation scion of the dynasty, still runs it as a simple heritage hotel. 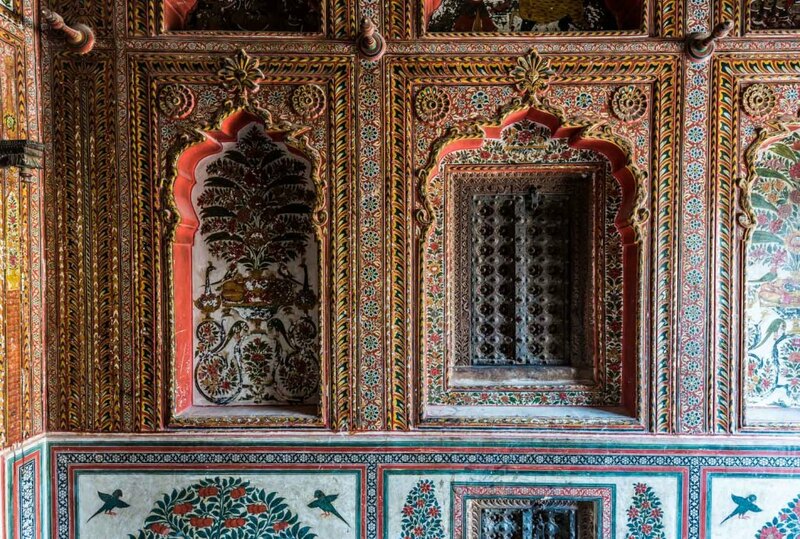 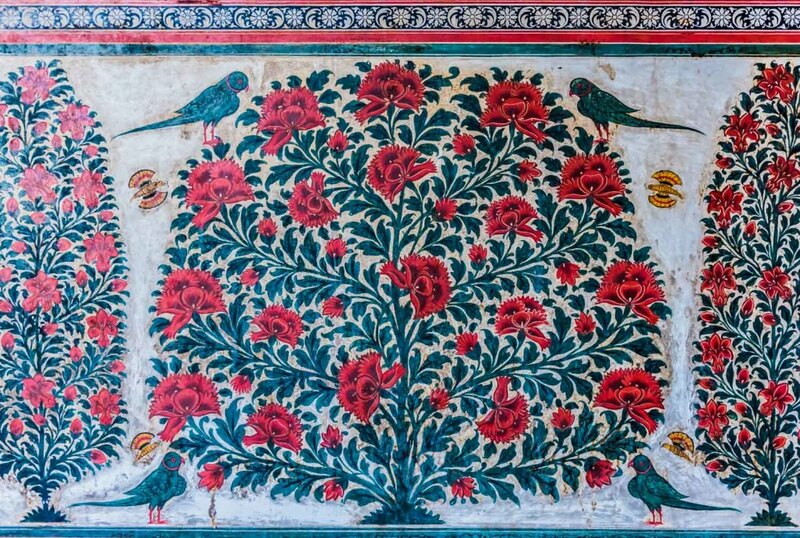 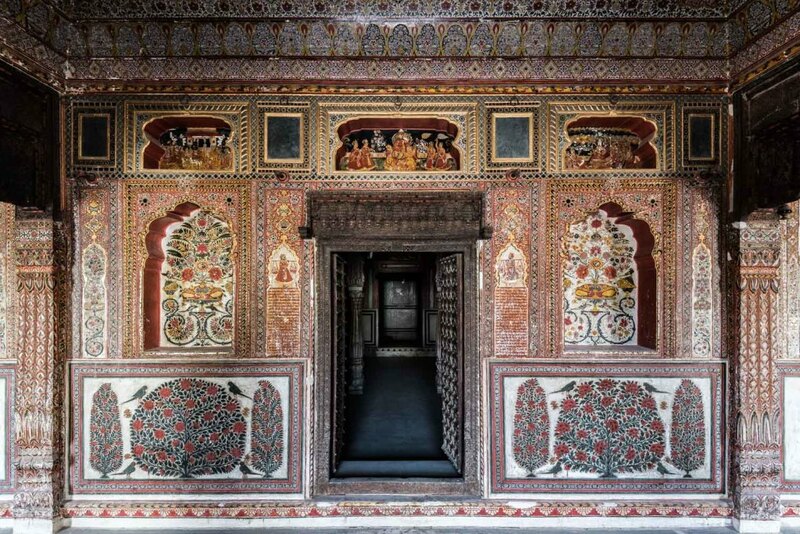 Nearby, is one of the best painted havelis (palaces) in Shekhawati – the Sone Chandi ki Dukan or Golden Shop, built in 1846. 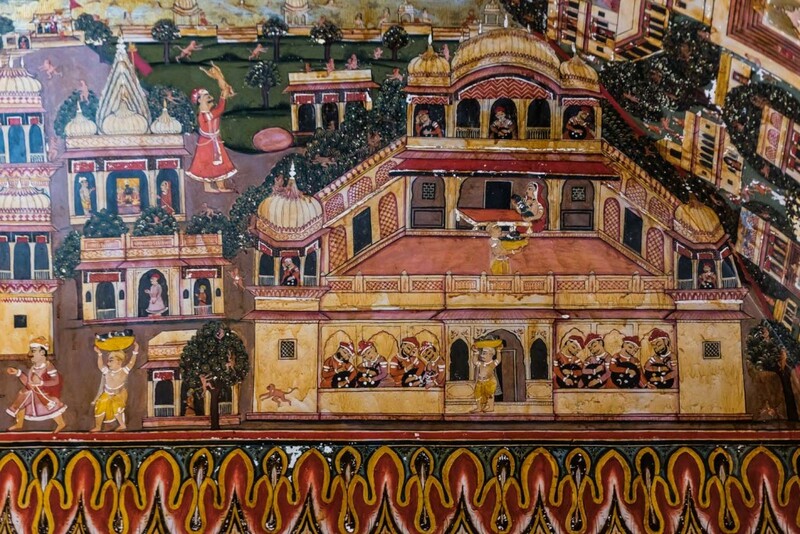 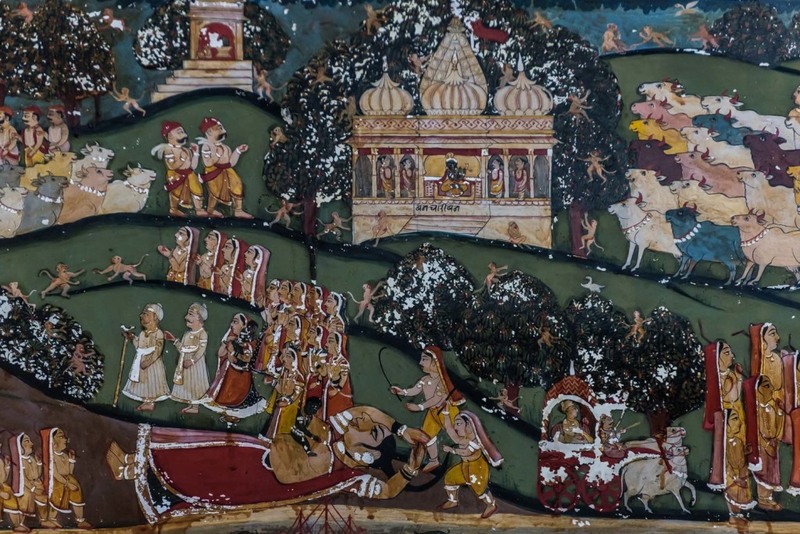 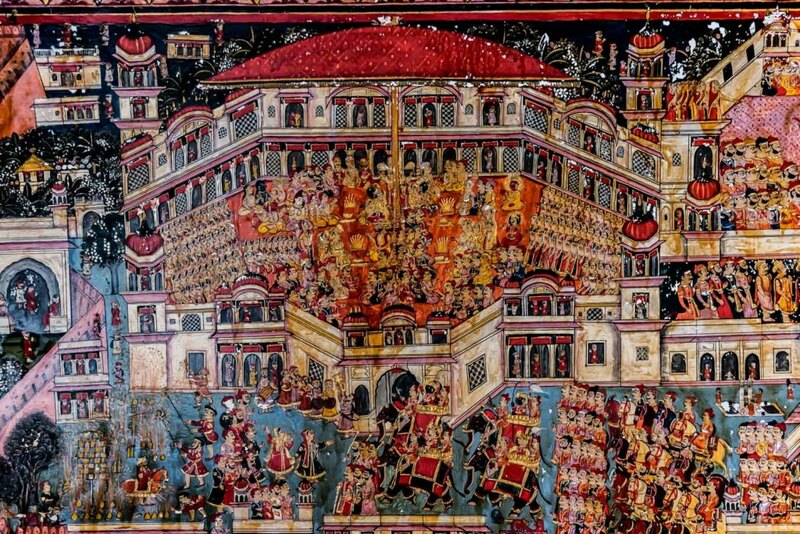 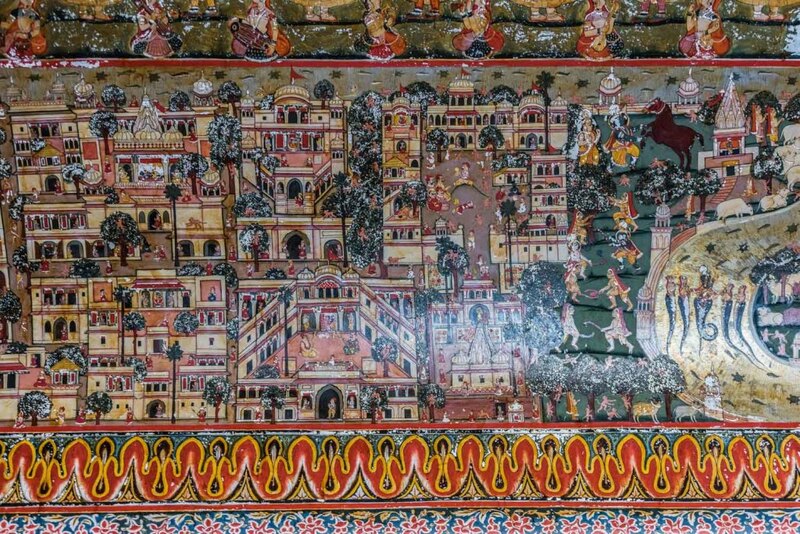 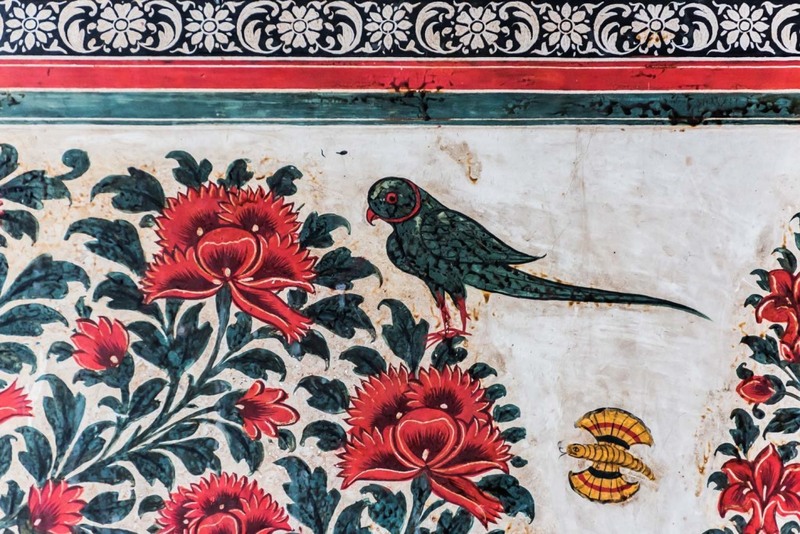 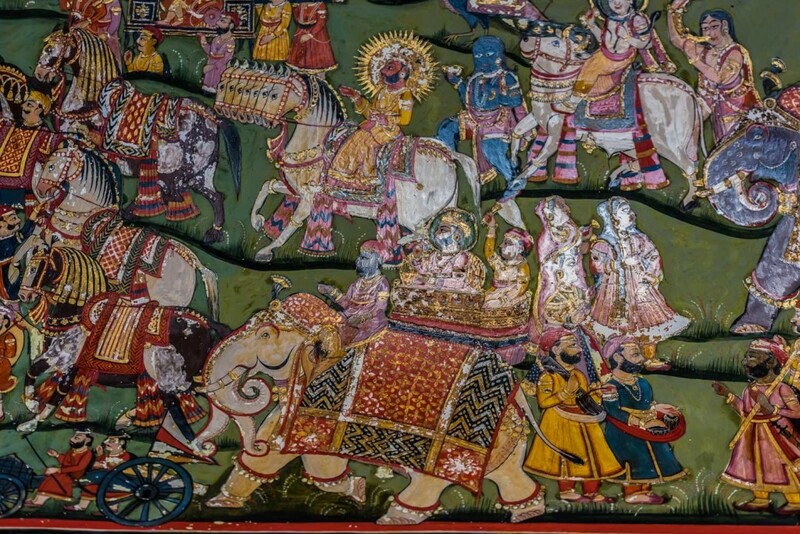 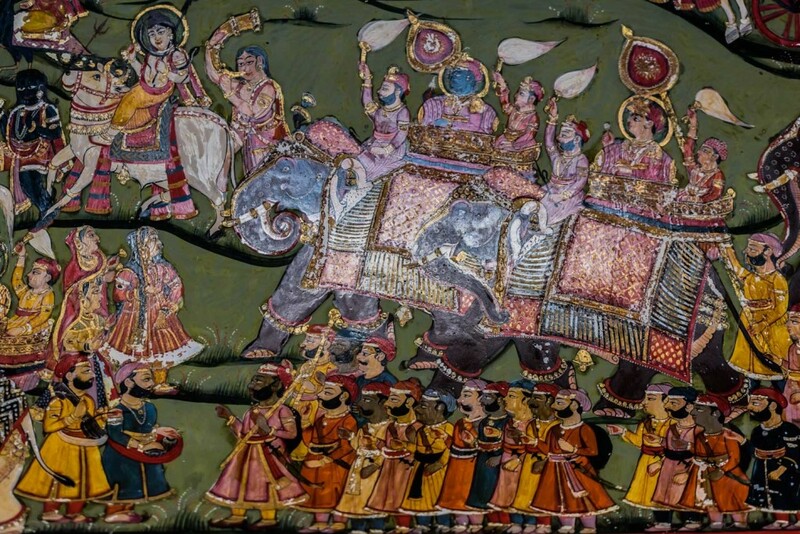 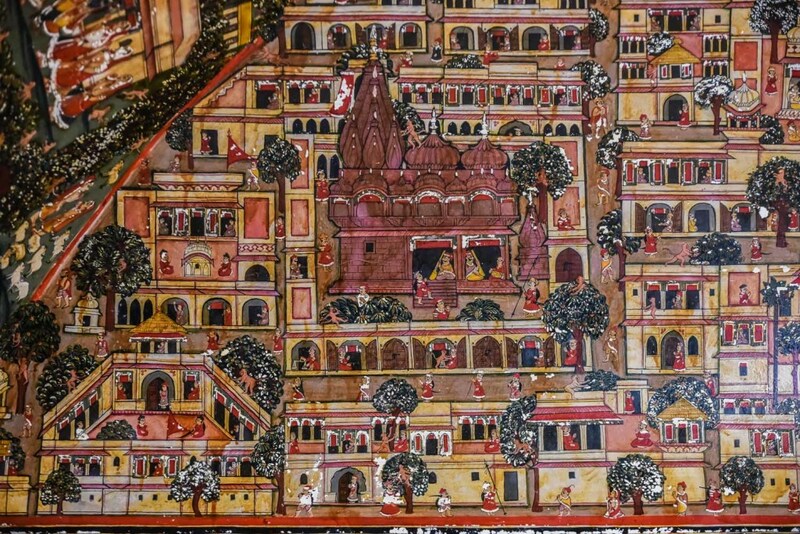 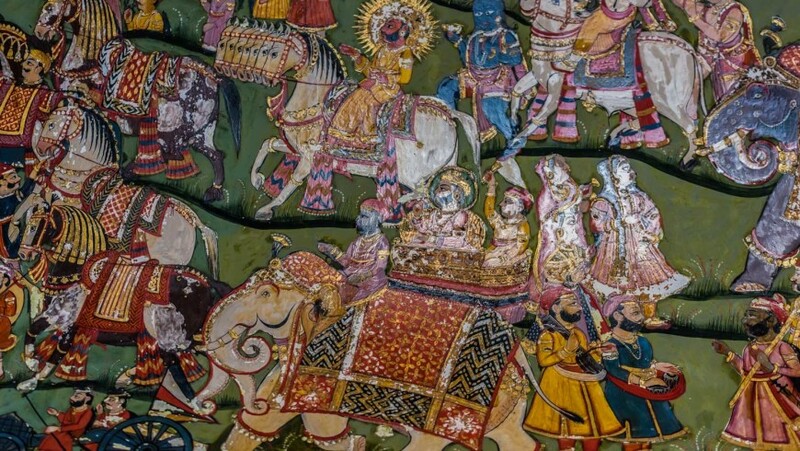 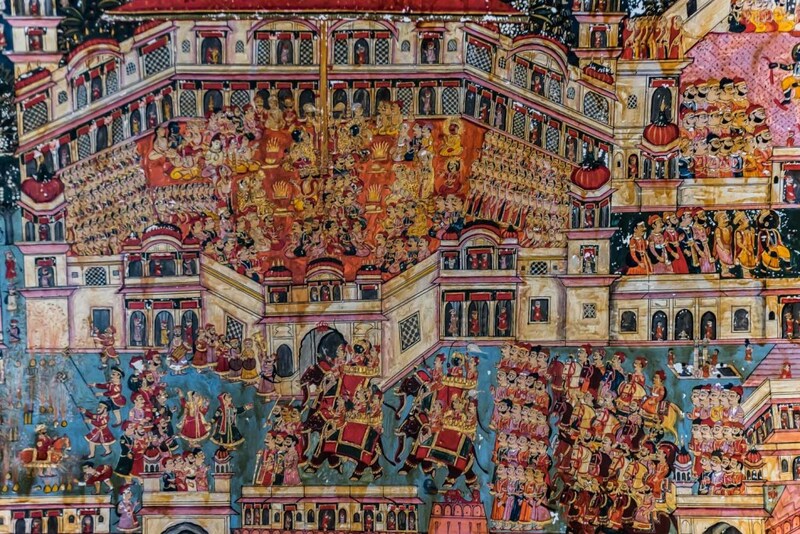 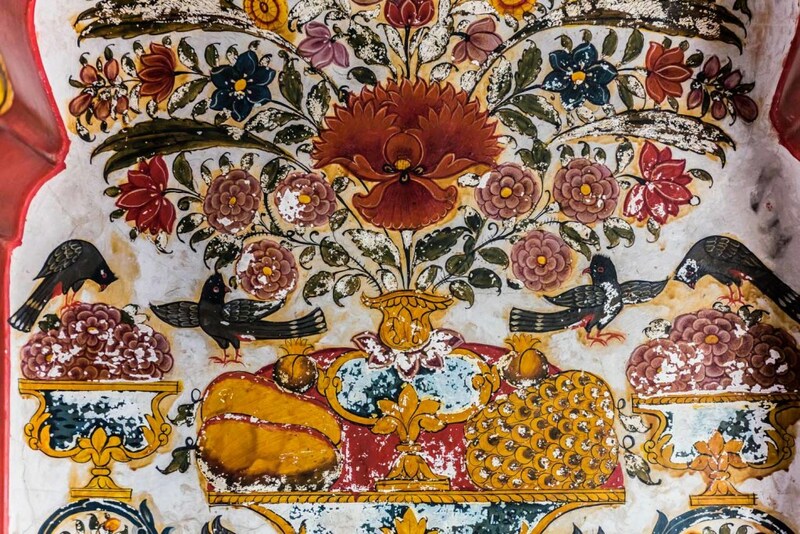 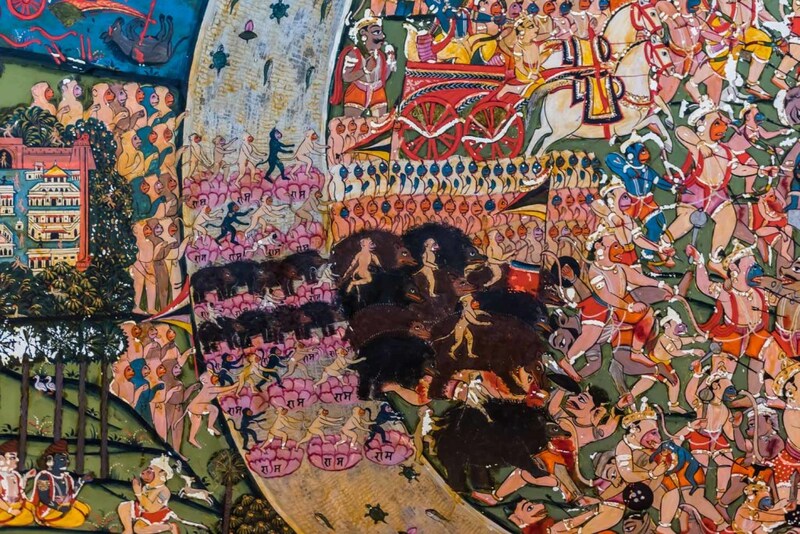 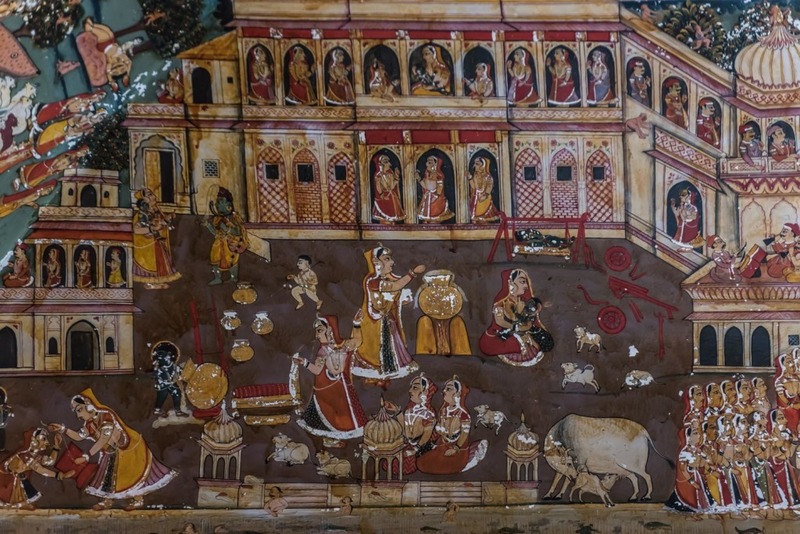 Named after the gold and silver leaf used to decorate its walls, the vibrant paintings show intricately rendered scenes from the Ramayana, the life of Krishna and incarnations of Vishnu. 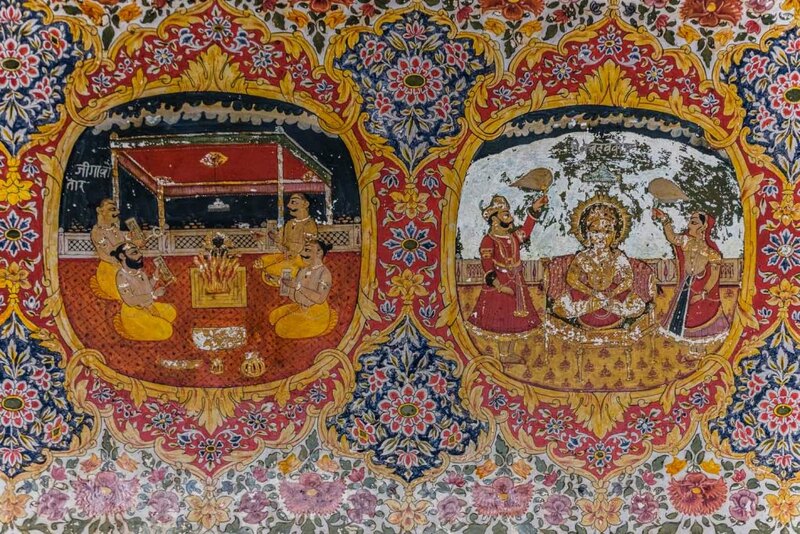 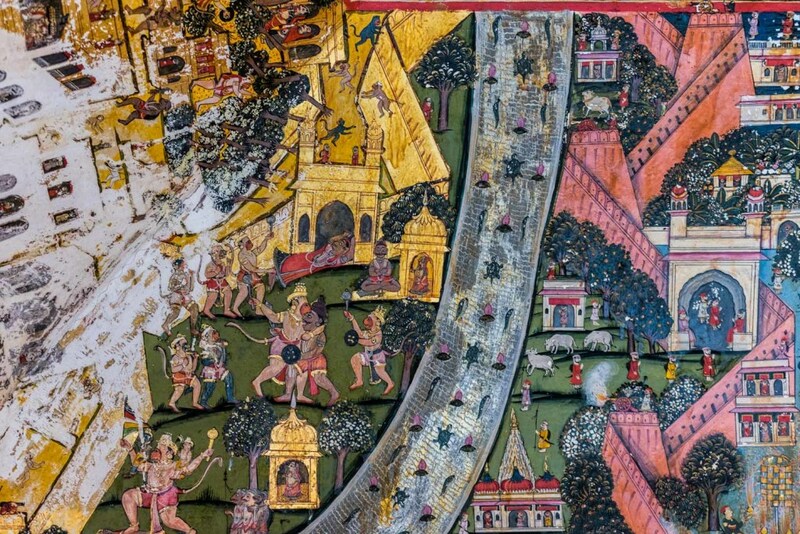 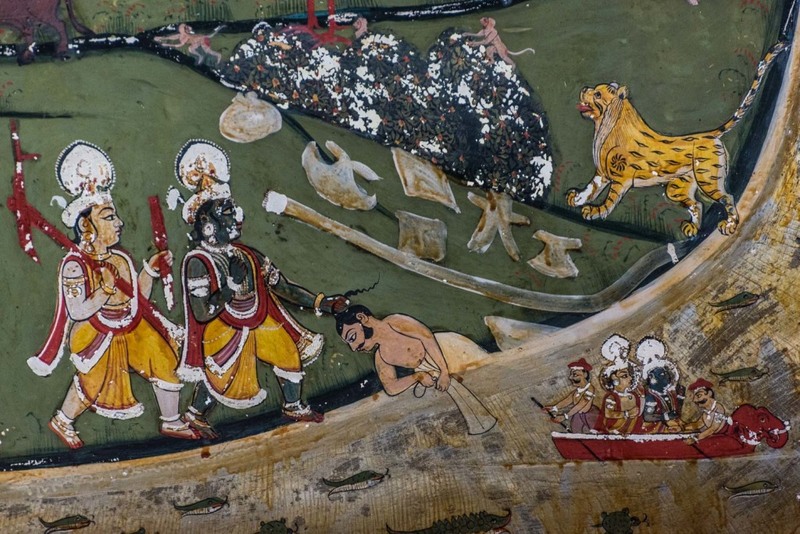 The scenes from the Ramayana in the southern section of the ceiling, in the first chamber, are particularly intense, with copious gold adornment. 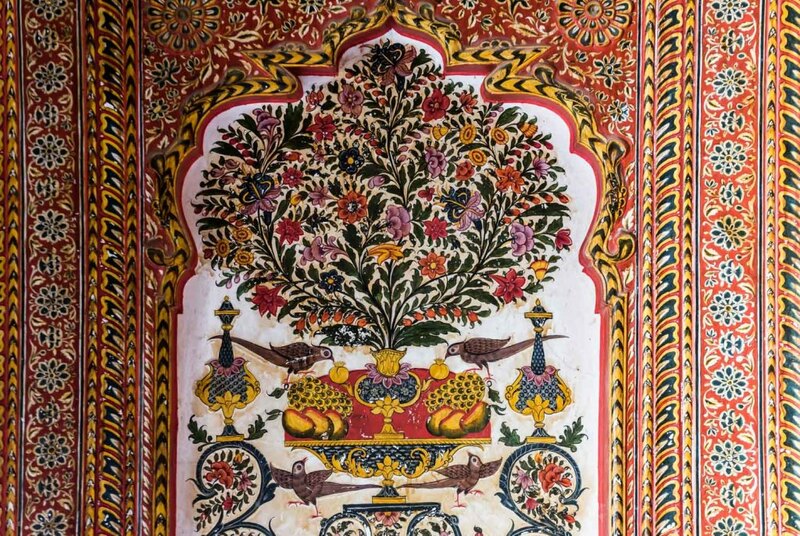 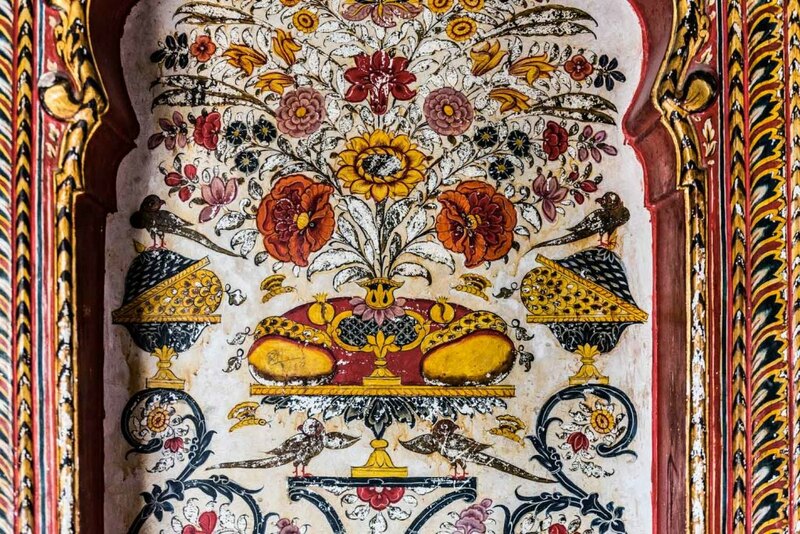 The lower part of the walls are richly embellished with floral and bird motifs, a fantasy of butterflies, fruit-laden trees and flowers. 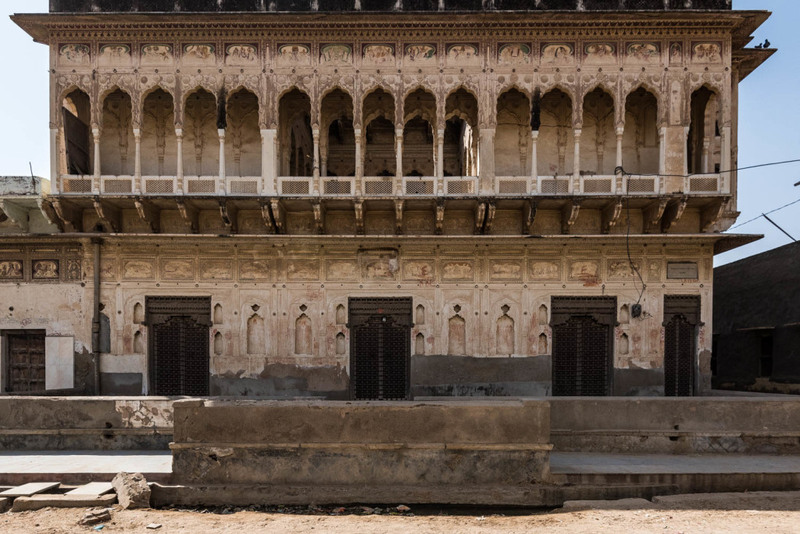 If the haveli is locked, tickets are sold (100 Rs.) 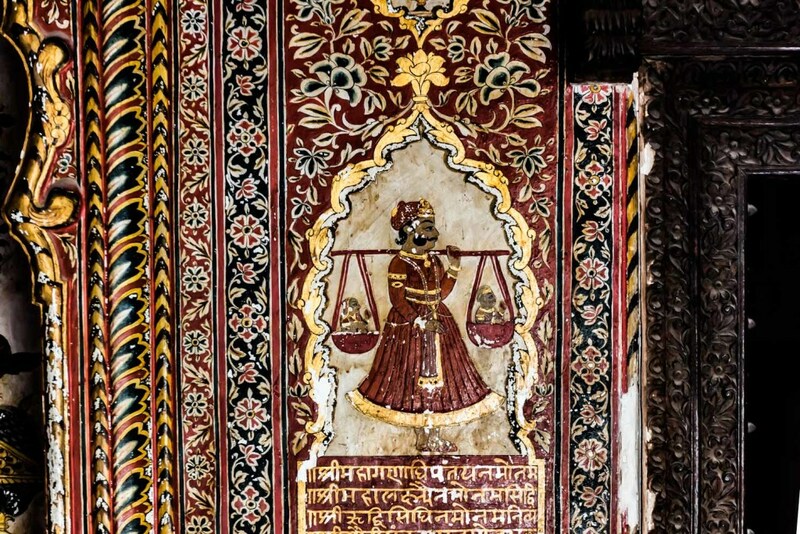 at the shop in front of Raghunath Mandir (tel. 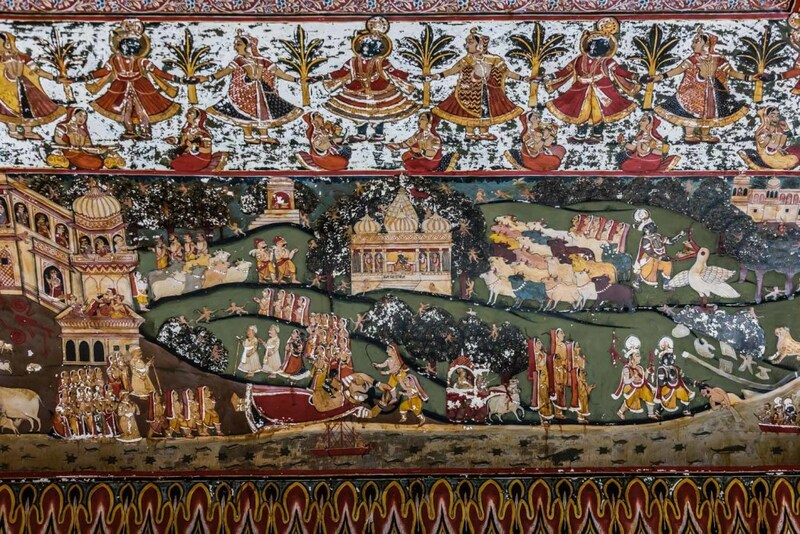 01592-223012).